Have you ever received a massage therapy session that was relaxing, but you just wished your therapist would use deeper pressure to break up restricted muscles and help release those painful knots? Then you may want a deep tissue massage. Let’s face it, we all face more stress and tension at various times in our lives, and that is when you need a little more than just a relaxation massage. My St. Pete deep tissue massage is designed to help restore blood flow and movement: so if you have tight, painful knots, or restricted movement in your neck or back, this is for you! This massage therapy service is also great for deep tissue sports massage, for weekend warriors and athletes, and for clients suffering from conditions like a frozen shoulder or other restricted movement where you need deeper work than a relaxation massage can provide. A deep tissue massage is similar in technique to a classic therapeutic Swedish massage, but uses much deeper, and sustained pressure to release deep-seated knots, tension, and restriction from your muscles and fascia so you can restore movement and flexibility and feel better. My St. Pete deep tissue massage allows me to work deeper into the muscle and fascia tissues, and release those painful knots that can cause restricted movement and tension and stiffness. Deep tissue massage – this is a deeper, more directed massage technique with firm stroking, kneading, and friction. The deeper, firmer pressure and manipulation is intended to work into the structures of the muscle tissue and fascia (connective tissue surrounding muscles). 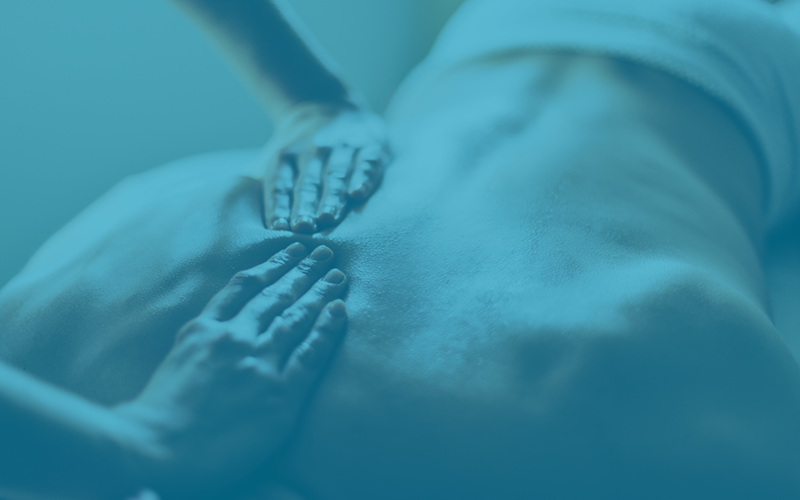 Deep tissue massage is helpful in releasing difficult muscle tension, spasms, knots and congestion, and helping with sports or other related injuries. Sports massage typically uses deep tissue massage techniques. Following regular deep tissue massage bodywork, you will experience greater range of motion, improved body posture and movement, and a greater sense of ease as stress and tension is released. As an experienced licensed massage therapist in St. Petersburg, FL, I am trained on how to utilize professional, therapeutic deep tissue massage techniques like myofascial release and other approaches. While deeper tissue work may cause some initial discomfort during the service as I apply the deeper pressure to certain areas, you will get better results once blood flow is restored to your muscles and knots of tension have been released. You will want to drink lots of water to flush toxins from your body, when receiving deep tissue bodywork. When you’re ready for a strong massage in St. Pete, request my deep tissue massage, and get a customized treatment that is exactly what you need! I customize each massage therapy session to meet the needs of my client. Great communication is important: deep tissue massage can be more intense than other types of massage, so please me know if the massage pressure is painful. I can adjust the level of pressure to your comfort level, so please let me know if I am not using enough (or am using too much) pressure for your comfort. I can include aromatherapy essential oils in your massage, at your request, to enhance your massage experience. Gentle stretching is always included in the massage at no added cost. Deep tissue therapy will release knots that will allow your body to excrete built up toxins and lactic acid. To assist in flushing toxins, please remember to drink plenty of water after your massage. This will help your body free toxins and enhance how great you feel following your massage service. Keep hydrated to experience the benefits of this service. You can book online using my convenient online booking service. Select the number of minutes for your massage, and let me know you want deep tissue work when you come in for your service. Please let me know if you have suffered any injuries, surgeries, or are having pain in certain areas so I can provide a comfortable and therapeutic treatment. I look forward to giving you a great deep tissue massage in St. Pete! Book your St. Pete deep tissue massage appointment now, with easy online booking.